Our popular poolhouses are available in both Duratemp and vinyl siding, in sizes from 10'x16' to 14'x32'. You determine how much is enclosed storage and how much is porch space. A house door with glass and 2 large windows connect the storage and porch areas. The most requested options include screening, vinyl composite porch flooring and extra doors and windows. 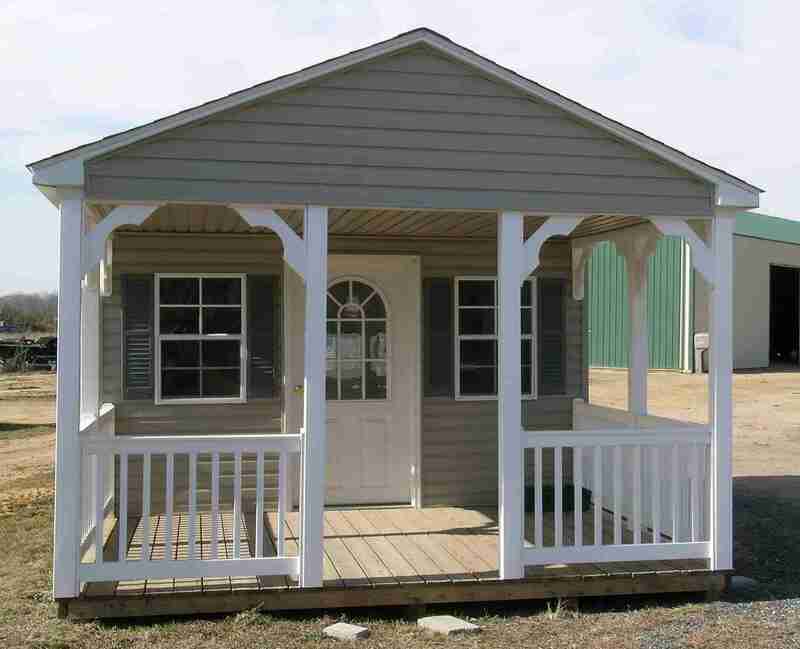 These dual purpose buildings accomplish the goals of both secure storage space and outdoor relaxation area. Though we call this versatile building a "poolhouse" because of its popularity for storage of pool chemicals and furniture while providing an attractive poolside retreat, its use is limited only by your imagination. They are perfect as a guest house, cabana, hunting cabin or simply that screened in porch you have always wanted for your backyard.